The DMM Dragon Cam Set 2, 3, 4 contains three cams, sizes 2-4. Unique to the Dragon Cams are the 'TripleGrip' lobes. Compare the lobes of a BD or WC cam to the lobes of a Dragon cam you'll notice the difference: each of the Dragon's lobes are split into three sections. This creates additional bite points between the lobe and the rock, increasing the friction between the cam lobe and the rock it's placed in. This increases holding power and reduces walking, particularly in slick or soft rock types and marginal placements. 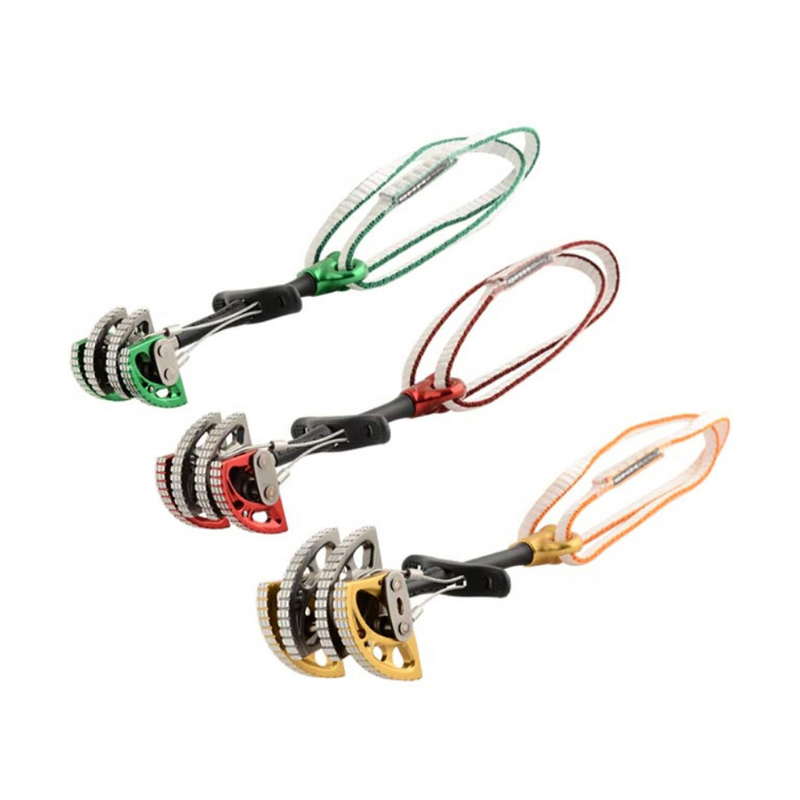 Another feature of the Dragon Cams is the hot-forged thumb press in place of the more often seen thumb loop, making the Dragon Cams up to 32% lighter than their competitors as well as allowing it to have an extendable sling with no strength penalty.